Some of you may be shocked to find out that back in 2000 there was a musical comedy based on the Resident Evil franchise which gives the franchise; way too many films, a 5H1T tonne of games, quite a few remastered games, some direct to DVD work, comics, manga, books and an awesome Slipknot track. 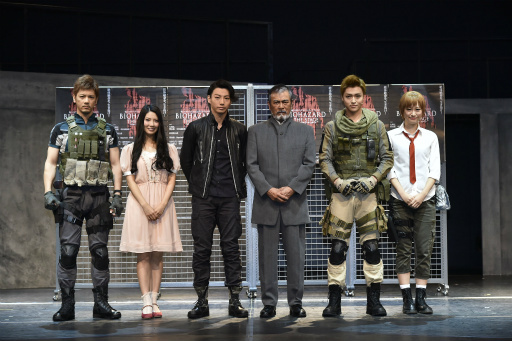 Resident Evil returned to the stage this month in the stage production of Biohazard. Tyler Howard, played by Hiroshi Yazaki (矢崎 広) is a former police officer with a strong sense of justice. Piers Nivans, played by Wataru Kuriyama (栗山 航) is a BSAA sniper attached to its North American branch. Piers is also Chris’ partner. Chris Redfield, played by Seijiro Nakamura (中村誠治郎) is a Captain in the BSAA North American branch and one of the BSAA’s founding members. Mary Grey, played by Asuka Kuramochi (倉持明日香) is a beautiful young woman attending the Philosophy University’s science classes. She is a genius with an IQ of 230. Rebecca Chambers, played by Rin Asuka (飛鳥 凛) is BSAA advisor currently working as a university professor. Sophie Home, played by “Raychell” is a western Australian singer and member of its Oceania branch. 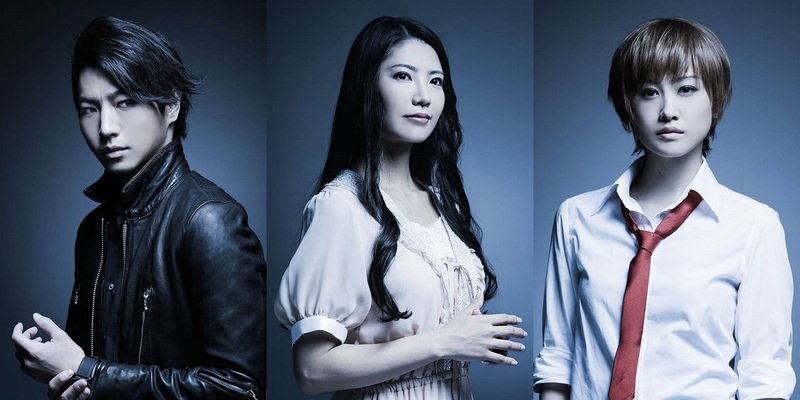 Olivia Price, played by Saaya Irie (紗 綾) is a philosophy university student and a friend of Mary Grey. Matthew Russel, played by Shimon Okura (大倉 士門). Makoto Uenobori (植野 堀誠) who University President Ezra Sennett’s secretary and a candidate for her successorship. Barrington Meyer, played by Haruki Kiyama (丘山 晴己) is a police officer investigating the university. Lucas Butler, played by Atsushi Kimura (木村 敦) is another philosophy university student, a friend of Mary and he is also Olivia’s boyfriend. Liam Howard, played by Yuji Kishi (岸 祐二) is a molecular biology professor and Tyler Howard’s father. Posh Brown, played by Yoshiaki Umegaki (梅垣 義明) is the university security guard. Ezra Sennett, played by Sonny Chiba/Shinichi Chiba (千葉真一) she is the current philosophy university president and she has a strong sense of duty. Unlike the previous play this seems to be a lot more serious. If you’re a fan of Resident evil and theater then this may be the thing you have been waiting for your whole life. The stage play’s plot will revolve around a bio-terrorism incident that occurs at a university in western Australia, because why not. Chris (Seijiro Nakamura) and Piers (Wataru Kuriyama),from an anti-bio-terrorism unit, head to the scene to investigate and they cooperate with former S.T.A.R.S. member Rebecca (Rin Asuka) who is also teaching at the university. On the scene they meet a mysterious young man named Tyler Howard (Hiroshi Yazaki ). As expected all hell breaks loose, I was surprised though that internet sensation Saaya Irie (playing Olivia Price) was in this, something tells me the fan boys will be queing up round the block to see her. Sadly it has a short run from 22/10/15 to the 01/11/15 still maybe with enough fan support they can do more. So readers don’t forget to split up and look for survivors! For more information and tickets you can visit the official website for Biohazard: The Stage by clicking here.